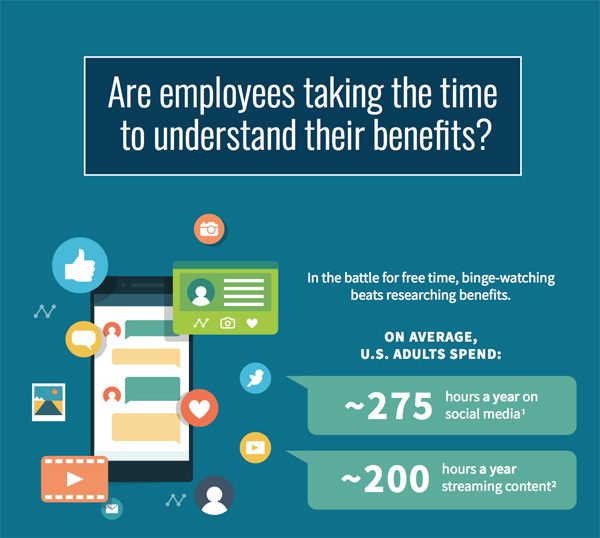 COLUMBIA, S.C. (April 11, 2019) — Nearly 70% of workers spend more time every week watching their favorite television shows featuring fantastic dragons or wanna-be performers than they spend the entire year thinking about benefits that protect their families and finances. And the lack of benefits understanding is impacting employers through higher turnover and dissatisfaction and lower morale, according to a new Colonial Life study. The survey of 1,500 full-time U.S. employees showed 33% spend less than 30 minutes considering their workplace benefits at enrollment time. And an additional 36% spend just 30 to 60 minutes learning about their benefits choices. “This can be a huge problem for both employees and their employers, because a lack of engagement with the benefits program leads to lower morale and higher turnover,” said Steven Johnson, vice president of Enrollment Solutions at Colonial Life. 18% less likely to feel cared about by their employer. “Just offering benefits isn’t enough to ensure employees understand, value and participate in them,” Johnson said. “To make that investment pay off, the benefits program must be complemented by an equally strong education and communication program. Women are more likely than men to speed through benefits. Single and divorced employees are less likely to take valuable time considering their benefits. Employees without children are more likely to think less about their benefits. And employees at smaller companies (less than 250 employees) are less likely to take more than an hour on their benefits. Colonial Life worked with Dynata to conduct a survey of 1,506 full-time U.S. employees between 18 and 70 years of age between Jan. 28 and Feb. 1, 2019. Colonial Life & Accident Insurance Company is a market leader in providing financial protection benefits through the workplace, including disability, life, accident, dental, cancer, critical illness and hospital confinement indemnity insurance. The company’s benefit services and education, innovative enrollment technology and personal service support nearly 95,000 businesses and organizations, and 4.5 million of America’s workers and their families. For more information visit www.coloniallife.com or connect with the company at www.facebook.com/coloniallifebenefits, www.twitter.com/coloniallife and www.linkedin.com/company/colonial-life. Colonial Life is a registered trademark and marketing brand of Colonial Life & Accident Insurance Company. 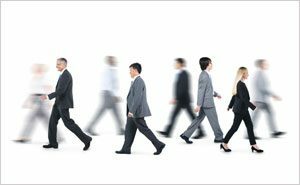 How Are Generational Shifts Are Impacting Employee Benefits?